As you may be aware from our previous blog our Quality Control and Inspection arrangements underwent radical changes, all part of our continuous program of investing and improving our production facilities. 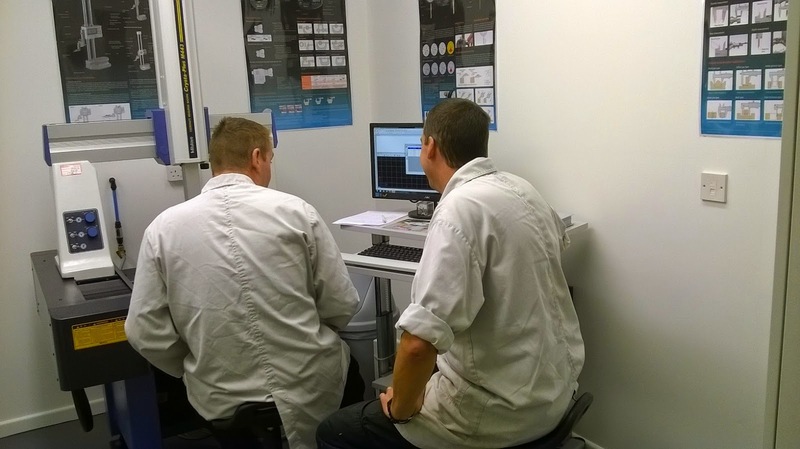 Jon and Ben our Senior CNC Engineers, underwent training at Mitutoyo regarding software for our new CMM. As official Corning Macor distributors we always carry stock , we have just taken delivery of a new consignment, it is imperative that our stocks are kept replenished. Our goal is always to meet customers specified requirements and expectations. Traceability of material batches (Macor) can be provided if required. We can offer you a CMM report with your components by arrangement. MGC is one of the most versatile and unique technical ceramics available. Ceramic Substrates and Components Limited has been an official “Corning” Macor Machinable Glass Ceramic distributor and supplier for over ten years and as you would expect from a highly-respected UK Distributor, we have a wealth of experience and capabilities in machining Macor, along with the knowledge of the material’s suitability for your application. 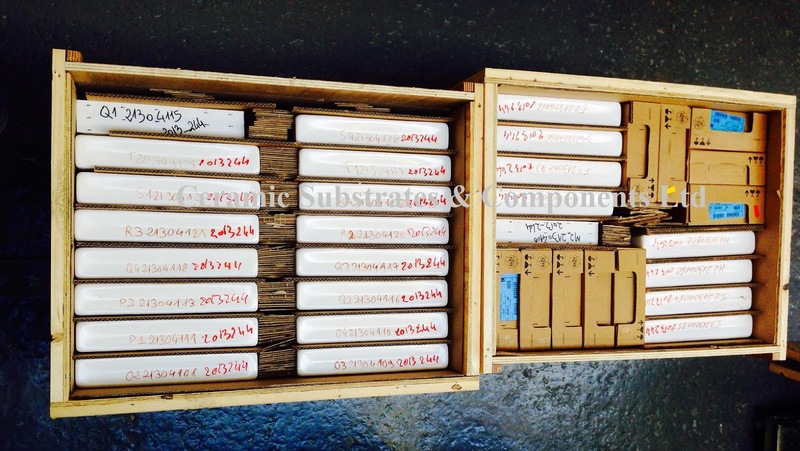 We can supply a small material sample for your own evaluation,please contact us with your details and we shall post accordingly. 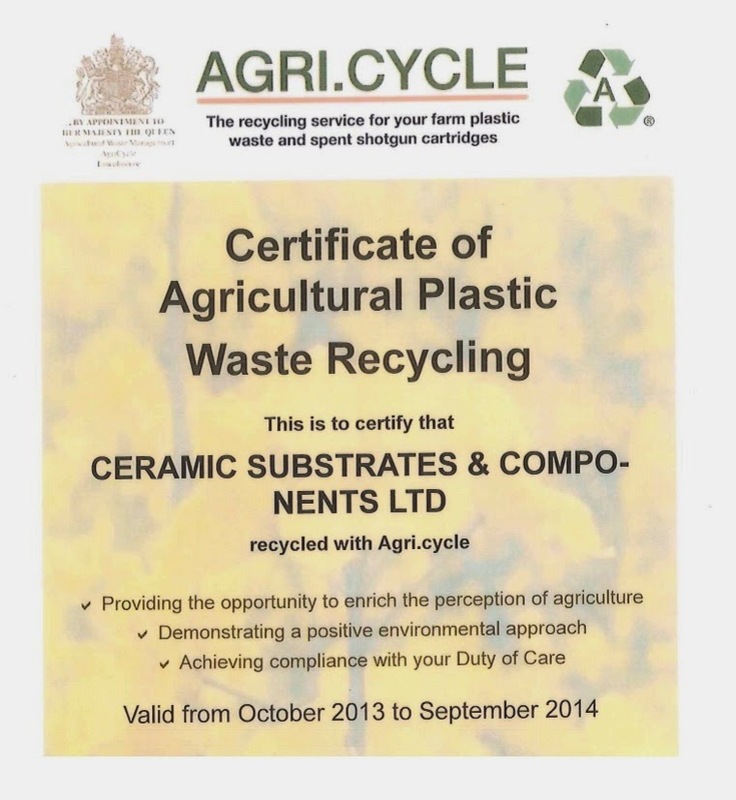 We have received our certification of Agricultural Plastic Waste Recycling for the year October 2013 to September 2014. Here are Ceramic Substrates we aim to demonstrate a positive environmental approach and the plastic waste is just one of many steps we take for a re-use and re-cycle foundation. Our Environmental policy is always available for customers to peruse.